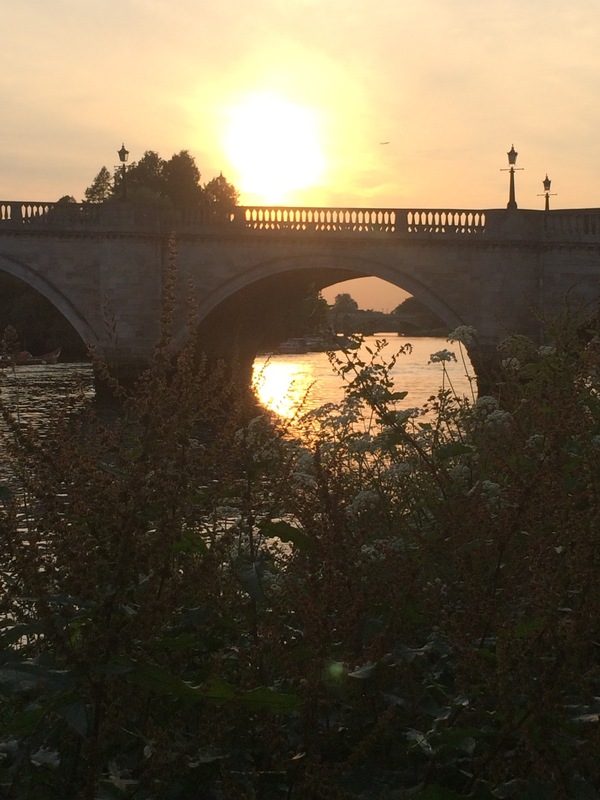 #30dayswild Day 9, a wild lunchtime and a meander along the river with a friend. After the muggy weather, rain and thunderstorms of the last couple of days, today has been a beautiful sunny day. 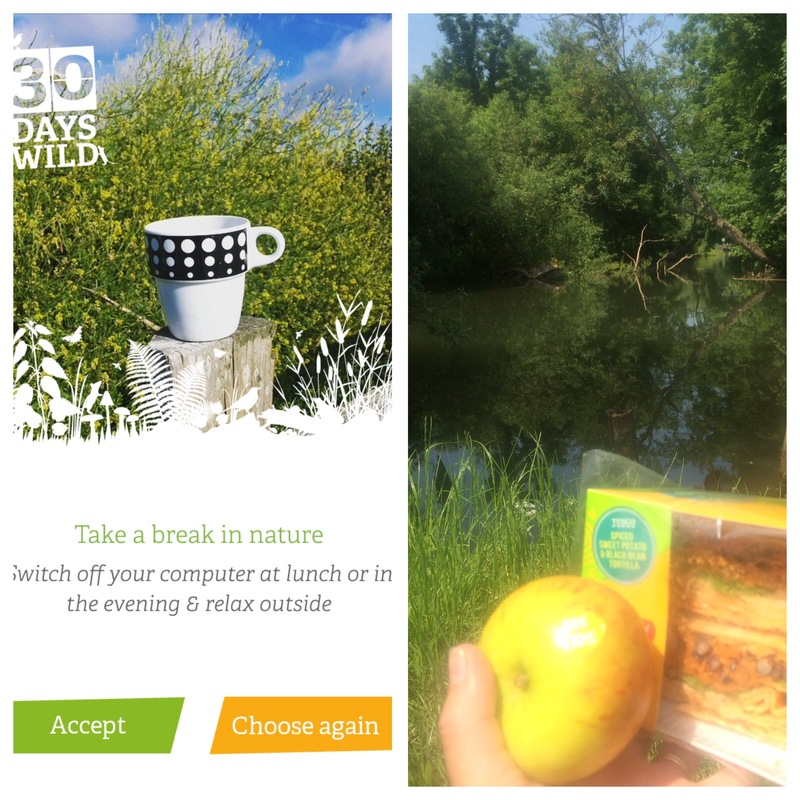 I took a lunch break to fit in some random acts of wildness, as suggested by the #30dayswild app. 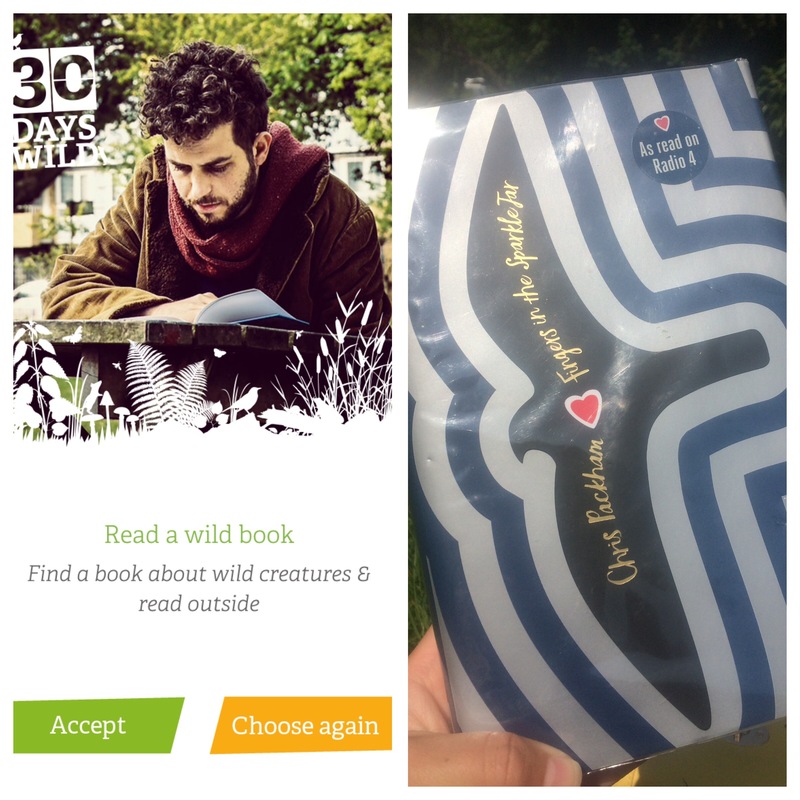 I took a break out of doors, in my favourite spot in the park by the river, I read a wild book, Fingers in the Sparkle Jar by the wonderful Chris Packham, and I inhaled a wild scent. 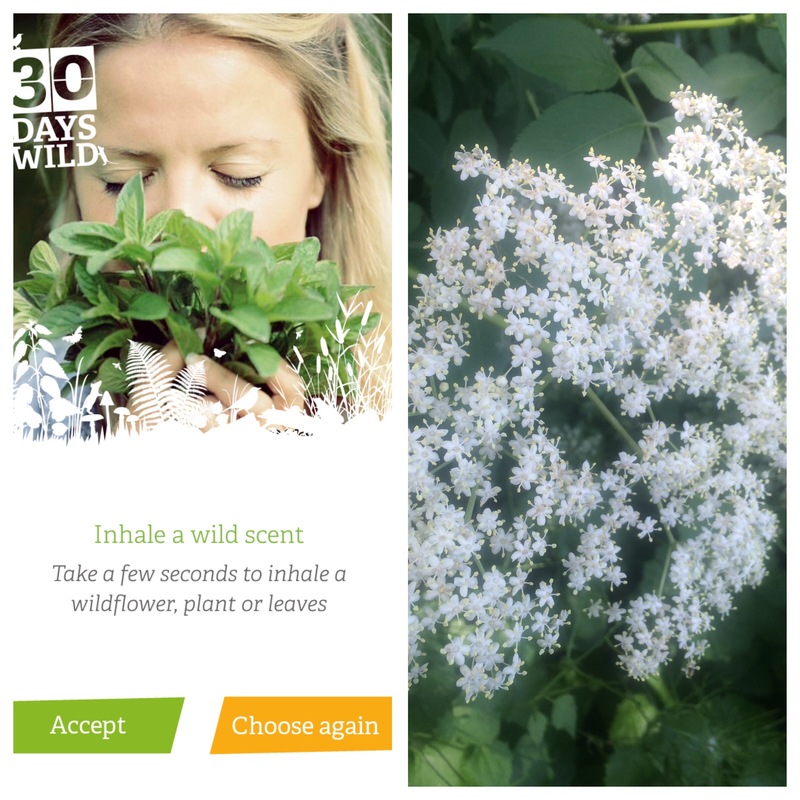 For me, elderflower is the scent of early summer, and I could smell it around me as I wandered through the park. I stopped to take a deep breath of the heady aroma, sweet, delicious. Sunshine, cocktails, picnics in the park. A scent to transport you to memories of happy summer days. 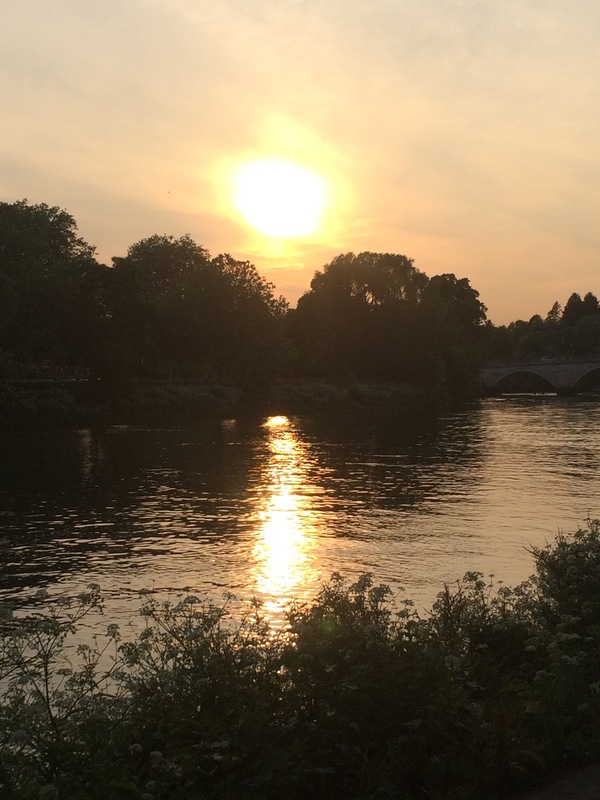 This evening I caught the train to meet a friend by the river. 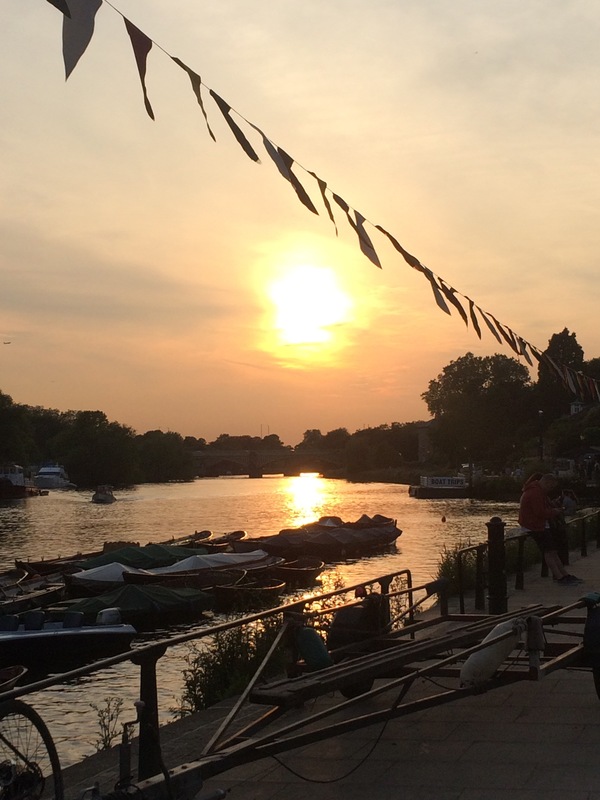 We wandered from the station and along the water, tide high, water overtopping the bank and flooding the path, people relaxing, drinking, laughing and paddling on and in the water. The perfect place to catch up on a Summer’s eve. 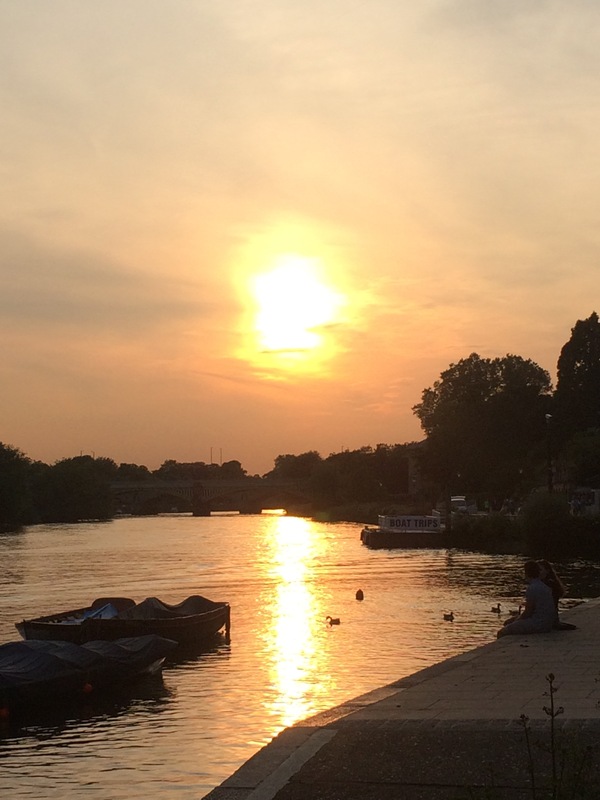 We ate by the river and then walked and chatted more, the sun setting in a golden blaze, rats reflected in the still wide waters. , sun dogs bouncing off the golden orb, flashes of rainbows in the sky. Herons landed on huge constructions, nests for their babies in the tall trees on the island, messy constructions for statuesque birds.